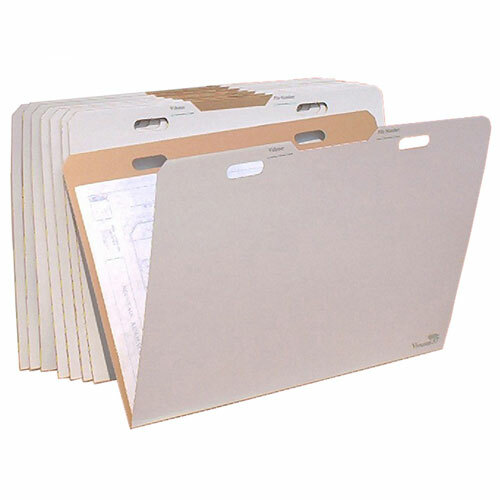 The perfect economical solution for active or permanent filing, blueprint protection, and storing documents, prints, graphics, art, film and all other items that need to remain flat up to 24"x36". Designed for use with the "VFile" which is sold separately. Ideal for 22"x34" and 24"x36". Made of durable attractive corrugate cardboard with gray lettering. Hand holes on individual vertical folders make retrieving and organizing large format documents easy. VFolder37 holds in excess of 50 sheets per folder.